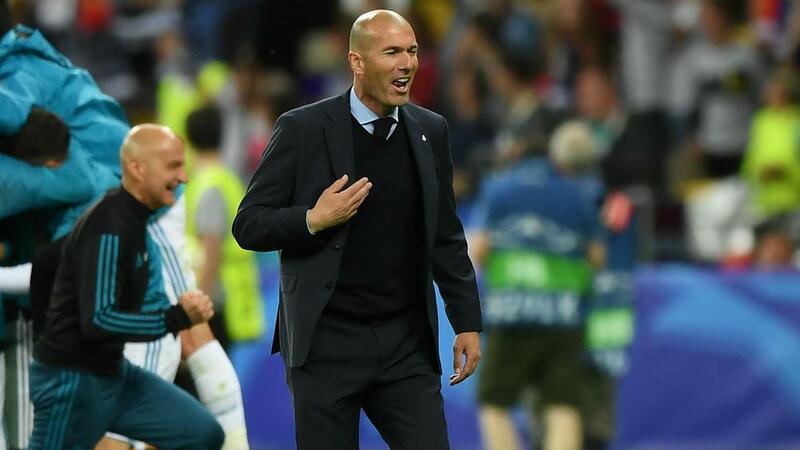 Didier Deschamps hailed Zinedine Zidane as an "extraordinary" coach after his former team-mate led Real Madrid to a third straight Champions League triumph. The 3-1 win over Liverpool in Kiev, which came courtesy of two Loris Karius errors and a stunning Gareth Bale bicycle kick, saw Madrid become the first club to complete a three-peat in over 40 years. The victory was another vindication of Zidane's appointment as Rafael Benitez's successor in January 2016, with the former France international joining Bob Paisley and Carlo Ancelotti as the only men to have guided teams to European football's top prize on three occasions. Les Bleus boss Deschamps played alongside the 45-year-old at both club and international level and was full of praise for what he has achieved in a short managerial career. "It's fabulous. You can only admire what he's doing," Deschamps told Telefoot. "He was an extraordinary player and he's already an extraordinary coach." Deschamps, who won the Champions League as a player in 1993, is preparing to guide France through their upcoming World Cup campaign. Paris Saint-Germain midfielder Adrien Rabiot was omitted from the 23-man squad bound for Russia and rejected the chance to be named as a reserve, criticising the decision as lacking logic. But former Juventus coach Deschamps stood by his choice and suggested the 23-year-old should assess his performances for the national team. "He only has to look closely at the matches he has played for France," said the 49-year-old. "Maybe he has a different analysis. He made that decision [to reject a reserve spot] which is obviously a mistake."